Garrison Avenue – Fort Smith, AR. The site that would later become Fort Smith became part of the United States in the Louisiana Purchase (1803). Soon after, the Pike Expedition (1806) explored the Arkansas River. Fort Smith was founded in 1817 as a military post. Around the fort a small settlement began forming, but the Army abandoned the first Fort Smith in 1824 and moved 80 miles further west to Fort Gibson. Army sutler and land speculator John Rogers (who some genealogists claim to be an ancestor to 20th-century Oklahoma comedian Will Rogers) bought up former government-owned lands and promoted growth of the new civilian town of Fort Smith, eventually influencing the federal government to re-establish a military presence at Fort Smith during the era of Indian Removal and the Mexican War. Fort Smith's name comes from General Thomas Adams Smith (1781–1844), who commanded the United States Army Rifle Regiment in 1817, headquartered near St. Louis. General Smith had ordered Army topographical engineer Stephen H. Long (1784–1864) to find a suitable site on the Arkansas River for a fort. General Smith never visited the town or forts that bore his name. In 1838 the Army moved back into the old military post near Belle Point, and expanded the base as part of the federal policy of removing Cherokees and Choctaws from their ancestral homelands in the Southeast and resettling the survivors in the nearby Indian Territory. Many displaced Native Americans settled in Fort Smith and Van Buren, while Sebastian county was formed in 1851, separated from Crawford County north of the Arkansas River. In 1858, Fort Smith became a Division Center of the Butterfield Overland Mail's 7th Division route across Indian Territory from Fort Smith to Texas and a junction with the mail route from Memphis, Tennessee. The fort was occupied by the Confederate Army during the early years of the U.S. Civil War. Union troops under General Steele took control of Fort Smith on September 1, 1863. A small fight occurred there on July 31, 1864, but the Union army maintained command in the area until the war ended in 1865. The town became a haven for runaway slaves, orphans, Southern Unionists, and other victims of the guerrilla warfare then raging in the Border States. Federal troops abandoned the post of Fort Smith for the last time in 1871. The town continued to thrive despite the absence of federal troops. Two of Fort Smith's most notable historic figures were Judge Isaac Parker and William Henry Harrison Clayton, sometimes referred to as W.H.H. Clayton. In 1874, William Henry Harrison Clayton was appointed United States Attorney for the Western District of Arkansas by President Ulysses S. Grant. Fort Smith was a bustling community full of brothels, saloons and outlaws, just across the river from Indian Territory. William Clayton realized a strong judge would be necessary to bring law and order to the region. He knew of a strong judge in Isaac Parker. But there was a problem, as Judge Parker had been appointed Chief Justice of Utah Territory and confirmed by the US Senate. With the help of President Grant and US Senator Powell Clayton, former governor of Arkansas, William Clayton was able to undo that appointment and redirect Judge Parker to Fort Smith. Judge Isaac Parker served as U.S. District Judge 1875–1896. He was nicknamed the "Hanging Judge" because in his first term after assuming his post he tried 18 people for murder, convicted 15 of them, sentenced eight of those to die, six of whom were later hung on the same day. Over the course of his career in Fort Smith, Parker sentenced 160 people to death. Of those, 79 actually were executed on the gallows. His courthouse is now a National Historic Site where "more men were put to death by the U.S. Government... than in any other place in American history." William Clayton was appointed US Attorney by four different presidents and later served as Chief Justice of Indian Territory. He was instrumental in achieving statehood for Oklahoma and together with Territorial Governor Frank Frantz, carried the Oklahoma Constitution to President Teddy Roosevelt after the state was admitted to the Union in 1907. Governor Frantz and Judge Clayton both lost their territorial positions when Oklahoma became a state. The Army returned to Fort Smith in 1941 with the establishment of the Fort Chaffee Military Reservation east of the city. On April 21, 1996, a large tornado destroyed and heavily damaged much of historic downtown Fort Smith around the Garrison Avenue Bridge. The storm left four people dead in western Arkansas. Days later, the Eads Brothers Furniture building in downtown Fort Smith was destroyed by one of the largest fires in the city's history. Fort Smith is located at 35°22′7″N 94°23′55″W﻿ / ﻿35.36861, -94.39861 (35.368691, −94.398737). According to the United States Census Bureau, the city has a total area of 64.6 square miles (167 km2), of which, 61.7 square miles (160 km2) of it is land and 3.9 square miles (10 km2) of it (6.3%) is water. Fort Smith has generally mild winters and hot, humid summers. The monthly mean temperature ranges from 39.4 °F (4.1 °C) in January to 82.3 °F (27.9 °C) in July; on average, the high stays at or below freezing on 5 days, reaches 90 °F (32 °C) on 74.7 days, and 100 °F (38 °C) on 10.7 days annually. The average first and last occurrences for freezing temperatures are November 5 and March 29, respectively. Extreme temperatures range from −15 °F (−26 °C) on February 12, 1899 to 115 °F (46 °C) on August 3, 2011. Fort Smith is situated near an area known as Tornado Alley in the central United States. The city has been struck by three major tornadoes which occurred in the years of 1898, 1927 and 1996. As of the census of 2010, there were 86,209 people, 34,352 households, and 21,367 families residing in the city. The population density was 1,391.2 people per square mile (537.2/km²). There were 37,899 housing units at an average density of 612.3 per square mile (236.4/km²). The racial makeup of the city was 69.3% White, 9.0% Black or African American, 1.8% Native American, 5.3% Asian (2.2% Vietnamese, 1.7% Laotian, 0.3% Asian Indian, 0.2% Filipino, 0.1% Korean, 0.1% Chinese, 0.1% Hmong, 0.1% Pakistani), 0.1% Pacific Islander, 10.3% from other races, and 4.2% from two or more races. 16.5% of the population were Hispanic or Latino of any race (11.6% Mexican, 2.2% Salvadoran, 0.4% Guatemalan, 0.3% Puerto Rican, 0.2% Honduran, 0.1% Cuban, 0.1% Peruvian, 0.1% Colombian). In language, Fort Smith has over 10 Asian languages with over 2 percent and the rise of Hispanics from immigration in the late 20th century increased the total of residents who speak Spanish. 7.10% reported speaking Spanish at home, while 3.38% speak Vietnamese and Lao, and 2.50% speak Tagalog. In 2000 there were 32,398 households, of which 30.8% have children under the age of 18 living with them, 47.1% were married couples living together, 12.3% had a female householder with no husband present, and 36.3% were non-families. 30.7% of all households were made up of individuals and 10.9% had someone living alone who was 65 years of age or older. The average household size was 2.42 and the average family size was 3.03. In the city the population was spread out with 25.4% under the age of 18, 9.8% from 18 to 24, 29.3% from 25 to 44, 21.8% from 45 to 64, and 13.7% who were 65 years of age or older. The median age was 35 years. For every 100 females there were 94.1 males. For every 100 females age 18 and over, there were 91.0 males. The median income for a household in the city was $32,157, and the median income for a family was $41,012. Males had a median income of $29,799 versus $22,276 for females. The per capita income for the city was $18,994. About 12.1% of families and 15.8% of the population were below the poverty line, including 22.2% of those under age 18 and 9.6% of those age 65 or over. Fort Smith has long been a regional manufacturing center, with major plants located in the city operated by Rheem, Trane, Georgia-Pacific, Gerber, Planters Peanuts, Mitsubishi Power Systems Americas, Mars Petcare, Umarex USA, Graphic Packaging, and many others. Fort Smith is home to several corporations including Baldor Electric Company, a member of the ABB Group, Arkansas Best Corporation, and poultry company OK Foods. Fort Smith Regional Art Museum opened to the public on January 19, 2013. Fort Smith's first art museum will be equipped to facilitate nationally and internationally recognized traveling exhibits. The museum will also offer educational programs and special events for adults and children. Fort Smith Museum of History, almost adjacent to the National Historic Site the museum contains numerous exhibits, displays and artifacts that tell the story of Fort Smith's history—from the first fort in 1817, through the westward expansion, and on to the Civil War, the Gay Nineties, Fort Chaffee, and the emergence of a modern city. Fort Smith Trolley Museum is a railroad museum which displays a number of antique trolleys and related items. Fort Smith Air Museum is dedicated to preserving the history of the development of aviation in Western Arkansas and Eastern Oklahoma. National U.S. Marshals Museum: The U.S. Marshals Museum. The Clayton House Museum The Clayton House Museum is the original home of William H.H. Clayton. It is open for tours and rentals for weddings, meetings, events, and much more. The house holds many Clayton artifacts, and boldly tells the history of Mr. Clayton as well as the western frontier. Fort Smith has an active music scene. There are frequent live performances in the downtown area by local and national Jazz, Blues, Country, and Rock bands. Local bands regularly frequent the riverfront area highlighting the river valley's finest. Fort Smith Symphony, the oldest orchestra in the state. The symphony is a per-service professional orchestra composed of musicians from Fort Smith, Fayetteville, Springfield, Tulsa, Oklahoma City, Norman, Dallas, Little Rock, New York, Florida and other communities. The Fort Smith Symphony, conducted by John Jeter, regularly performs at the Arkansas Best Performing Arts Center. Fort Smith Chorale, founded in 1981 by Bill Cromer for the purpose of providing singers with the opportunity to learn and present Chorale music otherwise not available to them locally. Western Arkansas Ballet, a regional dance company which regularly presents programs at area schools and the Performing Arts Center. Their major annual event is the presentation of Tchaikovsky's Nutcracker Ballet. The McCafferty School of Irish Dance, offers instruction in the art of Traditional Irish Dance. Dancers from the school have competed at local, regional, national and world championship levels of competition. Dancers from the McCafferty School have also performed professionally in international shows such as Riverdance and Lord of the Dance. Dancers perform at many local celebrations including Oktoberfest, The Saint Patrick's Day Parade, church carnivals and many others. The Fort Smith branch of the school is supported by the Fort Smith Irish Dance Council, a 501(c)3 Non-Profit Organization founded to provide support and facilities for the dancers. The Council maintains a studio at Chaffee Crossing for the use of the school. The Council hosts the The River Valley Feis, a regional dance competition held at the Fort Smith Convention Center each November. The Feis serves as the Council's primary means of fund raising. Downtown fountain after a freeze. Riverfront Amphitheater - Located next to the Arkansas River, the Riverfront Amphitheater represents one-third of the River Park Complex. Fort Smith Convention Center is one of the largest convention centers in the region. It has more than 40,000 square feet (3,700 m2) of exhibition space. Many trade shows, conventions, and other events are held here each year. The performing arts theater is home to the Fort Smith Symphony and has seating for 1,331 people. Kay Rodgers Park - Home to the Expo Center, with 24,000 square feet (2,200 m2) of meeting and exhibition space and the Harper Arena, which is a covered open-air stadium that can seat 7,000 to 14,000 attendees for a variety of events. Second Street Live - This Performing and Visual Arts Center has an intimate 250 seat theater and 1,500 square feet (100 m2) Art Gallery. Fort Smith is the main shopping destination of Western Arkansas and Eastern Oklahoma. Central Mall is the state's largest indoor shopping center in terms of area. Retailers in the city include Dillard's, J. C. Penney, Sears, Walmart, Target, Best Buy, The Home Depot, Lowe's, and Kohl's. Several smaller and niche retailers also can be found throughout the city as well. Fort Smith National Historic Site, the most prominent landmark, which includes the remains of the original 1817 fort on the Arkansas River. Inside is the restored courtroom of the famed "Hangin' Judge" Isaac C. Parker, and the dingy frontier jail aptly named "Hell on the Border." Eventually, this would become the unofficial nickname for all of Fort Smith. Belle Grove Historic District, a 22-block area in downtown Fort Smith comprised nearly 25 restored homes that span 130 years of varying architectural styles. Miss Laura's Social Club, a former brothel and the only remaining building from the Row, is home to the city's Convention and Visitors Bureau and the only former house of prostitution on the National Register of Historic Places. Fort Chaffee, primarily used as a training facility by regional National Guard and Reserve Corps units as well as active military units from other installations. In 1958, the entertainer Elvis Presley stopped off at Fort Chaffee en route to his basic training in Texas. It was here that the public information officer John J. Mawn told a news conference that Presley would receive the standard "G.I. haircut" and would resemble a "peeled onion". Old Fort Days Rodeo - Fort Smith's annual Old Fort Days Rodeo and Barrel-Racing Futurity offers nearly ten days of Wild West activities. It has been held every May since the mid-1930s and is now rated as one of the top all around rodeos in the country. Hanging Judge Border Feud High School Rodeo - the rodeo is held every March or April schedule permitting. This event is held at Kay Rodgers Park, and includes all of your usual rodeo events as well as the spring livestock show. The events are open to any high school students. Fort Smith Riverfront Blues Fest - since it began in 1991, the Riverfront Blues Festival has become one of the biggest, hottest and jazziest annual June events in western Arkansas and eastern Oklahoma, attracting jazz aficionados from a wide area of the blues-rich south, and "name" blues artists and performers from all over. The two-day event makes for a delightful music-filled weekend in Fort Smith, hearing blues, blues, blues on the banks of the Arkansas River. Arkansas-Oklahoma State Fair - One of the largest bi-state fairs in the nation, Fort Smith's Arkansas-Oklahoma State Fair attracts thousands of fair-goers during its ten-day run in late September. They come to see exhibitor competition in everything from arts and crafts to livestock, and enjoy carnival rides, the midway excitement, nightly big-name grandstand entertainment, and plenty of good food. Fort Smith Airshow - sponsored by the 188th Fighter Wing of the Arkansas Air National Guard, the spectacular Fort Smith Airshow occurs bi-annually every other spring or fall. Fort Smith Juneteenth Community Festival - Juneteenth is the oldest nationally celebrated commemoration of the ending of slavery in the United States. River Valley Roller Girls, local roller derby league, est. 2006. Fort Smith Express Soccer, offers clinic, recreational and travel leagues. Fort Smith Boys & Girls Club, offers recreational leagues in Football, Soccer, Baseball, Basketball and Cheerleading. Has four Clubs located throughout the city, including: Jeffrey, Evans, Goldtrap-Gardner, Stephens. Fort Smith Church League Baseball, administers a faith based baseball league made up of teams representing individual churches and houses of worship from the surrounding area. Fort Smith Juniors Volleyball, offers girls volleyball. Western Arkansas Runners, a club devoted to distance running. Ben Geren Park Softball, has co-ed softball teams for youth and adults. The city has one major university that is part of the University of Arkansas System. The University of Arkansas at Fort Smith was founded in 1928 as an extension of the Fort Smith Public School system, with the superintendent, James William Ramsey, acting as the college president and the high school principal as dean. Known originally as Fort Smith Junior College, the institution operated within the Fort Smith public school system until 1950, when the school was incorporated as a private, nonprofit institution with its own governing board. In September 1952, the College moved from borrowed facilities in the high school to its current site, initially occupying 15 acres (6.07 ha). During the private college era, enrollment increased, as did course offerings, the number of faculty, and facilities. A vocational-technical division was added in 1960. During this period, the college began developing the programs and character of a comprehensive community college — a new concept in Arkansas and across the nation. In the fall of 1965, the Sebastian County electorate approved the creation of the Sebastian County Community Junior College District, along with a tax levy on the real and personal property of the county. The governor appointed a Board of Trustees, and the school again became a public institution. In 1966, the institution's name was changed from Fort Smith Junior College to Westark Junior College and in 1972, it was renamed Westark Community College, indicating the larger area to be served and reflecting the more comprehensive mission. Throughout the 1980s and early 1990s, the college developed and made changes within the context of its mission as a 2-year institution. A significant development in 1989 was the establishment of a University Center. Five state universities partnered with the institution to offer six bachelor's and seven master's degree programs on campus. Between 1989 and 2002, 1,788 students graduated with bachelor's degrees through the University Center. In 1997, the Arkansas Legislature passed an act granting Westark the authority to offer in its own right up to nine applied bachelor's degrees, developed in response to identified needs of the industries in the area served. The name of the college was changed yet again in February 1998 to Westark College, more accurately portraying the role and scope of the institution. On December 15, 2000, the Board of Trustees of Westark College entered into an agreement with the Board of Trustees of the University of Arkansas to merge with the University of Arkansas System as a four-year institution. In 2001, the Sebastian County electorate voted to support the merger. A formal request to change affiliation status to that of a bachelor's degree-granting institution under the name of the University of Arkansas at Fort Smith was submitted to the Higher Learning Commission in August 2001 and approved by the Institutional Actions Council on November 19, 2001. The merger, which became official on January 1, 2002, endorsed the concept of UA Fort Smith as a unique university, one that offers applied and traditional baccalaureate degree programs, one- and two-year associate and technical programs, and noncredit business and industry training programs. While the University of Arkansas at Fort Smith is the city's only state supported institution of higher learning, Webster University and John Brown University each have a satellite campus located in the city. The public schools in Fort Smith and Barling are operated by the Fort Smith School District. Currently, the district includes 26 schools. As of the 2009–2010 school year, the district has enrollment of more than 14,010. It has 2 high schools, 4 junior high schools, 19 elementary schools, and 1 alternative learning center. Fort Smith public schools provide education from kindergarten through the 12th grade, as do some private Protestant schools. Catholic parochial schools offer education through the ninth grade. The Southwest Times Record is the largest newspaper in the city, as well as the region. It is owned by Stephens Media LLC. The Hispanos Unidos is the city's local Hispanic newspaper who was owned and operated by Evan Giesen. They are the main source for reaching the Spanish community in the Greater Fort Smith Region and Northwest Arkansas as well as being the only Spanish language publication in the region. Fort Smith is a major transportation hub for the surrounding region. It sits at the crossroads of two major interstate highways, is surrounded on three sides by the Arkansas River, is served by 1 major and 2 regional/switching railroad companies, and is the home of a regional airport. The city sits just southwest of the intersection of Interstate 40 and future Interstate 49 when it extends southward to meet Interstate 30 in Texarkana, Texas. US 71 and US 64 also run through the community. Fort Smith is served by the Fort Smith Regional Airport (FSM), which is used for military aviation for Fort Chaffee and home of the 188th Fighter Wing of the Arkansas Air National Guard, but is also served by two commercial airlines with flights to Dallas/Fort Worth and Atlanta. The city is located on the Arkansas River, part of the McClellan-Kerr Navigation System and is served by the Port of Fort Smith. Fort Smith is served by the Kansas City Southern Railway from a branch connection on the mainline at Poteau, Ok and affords connections to other railroads at Kansas City, MO and at New Orleans, LA. In addition, the regional railroad company, the Arkansas and Missouri Railroad directly serves Fort Smith and provides connections through the St. Louis, MO and Memphis gateways to the east. The Fort Smith Railroad provides local switching service to a variety of businesses as well as providing haulage for the Union Pacific Railway with which it connects at Van Buren, AR. At this time, there is no direct passenger service from Amtrak. The closest point for such service is Little Rock, AR. Within the city, public bus service is provided by the Fort Smith Transit (FST). As of January 2015, FST operates 6 fixed routes, as well as paratransit service for disabled persons and Demand Buses. A trolley bus operates in the downtown area, providing transportation between the Belle Grove Historic District and the Fort Smith National Historic Site. Fort Smith uses two water treatment plants (WTPs) for its drinking water; one near Lake Fort Smith in Mountainburg and one on Lee Creek. 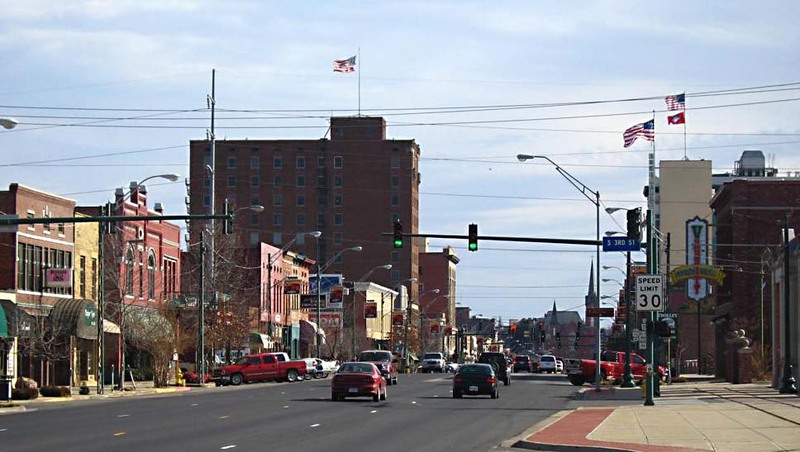 Fort Smith is named by Forbes as having the lowest cost of living in the United States. Fort Smith is also ranked sixth on its list of "Cities in America for Cost of Doing Business". The bathrooms at Fort Smith Regional Airport were voted as the best public restrooms in the United States in 2005.
Notable figures who were born in, lived in, or are otherwise associated with Fort Smith. Martine Bercher, former University of Arkansas All-American defensive back. Ron Brewer, former National Basketball Association player. Kodi Burns, former Auburn University quarterback, now coaching at Auburn. Ravin Caldwell, former National Football League player. Glen Condren, former National Football League player, New York Giants and Atlanta Falcons; born in Fort Smith, 1942. Harry Feldman, former Major League Baseball player. Jim Files, former National Football League player. Jack Fleck, professional golfer, 1955 US Open winner. Ryan Franklin, pitcher for St. Louis Cardinals and Olympic gold medalist. Craig Gentry, Major League Baseball player. Brett Goode, National Football League player. Priest Holmes, former National Football League player. Jim King, former National Basketball Association player and NBA All-Star. Scotty Robertson, coached at C.E. Byrd High School in Shreveport, Louisiana, Louisiana Tech University in Ruston, and for four NBA teams; born in Fort Smith in 1930. James Cotten, film director, actor, writer, producer. Douglas C. Jones, author of historical fiction. Rudy Ray Moore, singer and actor. Rossi Morreale, reality show star, actor, and television host. Brad Neely, modern web artist. Marty Stouffer, creator of Wild America TV series. Alphonso Trent, jazz bandleader and musician. Fay W. Boozman (1946–2005), Republican nominee for the United States Senate in 1998. John Boozman (born 1950), United States Senator and former United States Representative for Arkansas's 3rd congressional district; Northside High School graduate and football player for the Arkansas Razorbacks; brother of Fay Boozman. Justin Boyd, Republican member of the Arkansas House of Representatives from Fort Smith since 2015; pharmacist in Alma, Arkansas. Charles Winchester Breedlove, Los Angeles City Council member, 1933–45, born in Fort Smith. Clifton R. Breckinridge (1846–1932), a Democratic alderman, congressman, diplomat, businessman and veteran of the Confederate States of America Army and Navy. William Lee Cazort (1887–1969), former Lieutenant Governor of Arkansas, graduated from high school in Fort Smith. Mark Darr (born 1973), current Lieutenant Governor of Arkansas, was born in Fort Smith. Jake Files (born 1972), state senator from Fort Smith since 2011; former member of the Arkansas House of Representatives. William Meade Fishback (November 5, 1831 – February 9, 1903) was a Democratic Governor of Arkansas and selected to be a member of the United States Senate but was not allowed to serve. Charlene Fite (born 1950), educator in Fort Smith and Republican state representative from Crawford and Washington counties. B. G. Hendrix (born c. 1923), former state representative for Fort Smith. Bruce Holland (born 1968), Republican state senator from Sebastian County; born in Fort Smith. Asa Hutchinson (born 1950), Republican Governor of Arkansas starting in 2015, Republican former U.S. representative, Drug Enforcement Administration head, Under Secretary of Homeland Security, U.S. Senate nominee in 1986, and Arkansas gubernatorial nominee in 2006. Carol Kelso (born 1945), former member of the Wisconsin State Assembly and Executive of Brown County, Wisconsin. Stephanie Malone (born 1978), Republican member of the Arkansas House of Representatives from Sebastian County, 2009-2015; succeeded by Justin Boyd. George E. Nowotny (born 1932), Republican member of the Arkansas House of Representatives for Sebastian County from 1967 to 1972; resident of Tulsa, Oklahoma. Carolyn Pollan (born 1937), former member of Arkansas House of Representatives, longest-serving Republican and longest-serving woman member of the chamber. Isaac C. Parker (1838–1896), the "Hanging Judge". William L. Spicer (1918-1991), chairman of the Arkansas Republican Party from 1962 to 1964, who quarreled with Winthrop Rockefeller; owner of a chain of drive-in theaters. Zachary Taylor (1784-1850), 12th President of the United States, Military Commander at Fort Smith. Benjamin Bonneville (1796–1878), explorer of the American West. Charles M. Cooke, Jr., World War II admiral, naval strategist, Commander of the USS Pennsylvania during the attack at Pearl Harbor. William O. Darby (1911–1945), heroic World War II general. Alyse Eady (born 1988), Miss Arkansas, 2011 Miss America first runner-up. Bass Reeves (1838–1910), thought to be one of the first African Americans to have received a commission as a U.S. Deputy Marshal west of the Mississippi River. Cap Tilles (1865–1951), capitalist and philanthropist. Frederick Hinde Zimmerman (1864-1924), businessman, and founder of the Grand Rapids Hotel. ^ "American Fact Finder". http://factfinder2.census.gov/faces/nav/jsf/pages/index.xhtml. Retrieved 29 April 2014. ^ "Census". http://quickfacts.census.gov/qfd/states/05/0524550.html. Retrieved 2012-08-10. 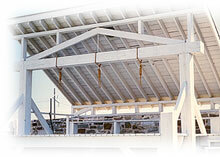 ^ "Photo of gallows". Fort Smith Convention and Visitors Bureau. Archived from the original on 2008-08-05. http://web.archive.org/web/20080805015520/http://www.fortsmith.org/images/fscvb_photo_gallows.jpg. Retrieved 2010-08-30. ^ "NowData – NOAA Online Weather Data". National Oceanic and Atmospheric Administration. http://w2.weather.gov/climate/xmacis.php?wfo=tsa. Retrieved 23 September 2015. ^ "AR FT Smith RGNL AP". National Oceanic and Atmospheric Administration. ftp://ftp.ncdc.noaa.gov/pub/data/normals/1981-2010/products/station/USW00013964.normals.txt. Retrieved 23 September 2015. ^ "WMO Climate Normals for Fort Smith/Municipal, AR 1961–1990". National Oceanic and Atmospheric Administration. ftp://ftp.atdd.noaa.gov/pub/GCOS/WMO-Normals/TABLES/REG_IV/US/GROUP3/72344.TXT. Retrieved 23 September 2015. ^ "City of Fort Smith CAFR". http://www.fortsmithar.gov/Finance/files/8_City%20of%20Fort%20Smith%20Report%202011.pdf. Retrieved 2012-11-03. ^ a b "Fort Smith AR, Best Places For Business 2006 - Forbes.com". Forbes. http://www.forbes.com/lists/2006/1/ARFor.html. ^ "Jake Files' Biography". votesmart.org. http://votesmart.org/candidate/biography/16268/jake-files#.UplRqBXnYfQ. Retrieved November 29, 2013. ^ "Mathew W. Pitsch". arkansashouse.org. http://www.arkansashouse.org/member/378/Mathew%20W.-Pitsch. Retrieved April 9, 2015. Wikisource has the text of the 1911 Encyclopædia Britannica article Fort Smith. "The Real Fort Smith: the Fact and Fiction Behind True Grit" Posted on AwardsDaily, 11/17/2010. A look at the veracity of the True Grit novel and both film adaptations, from a Fort Smith history perspective. "Fort Smith". Collier's New Encyclopedia. 1921. This page uses content from the English language Wikipedia. The original content was at Fort Smith, Arkansas. The list of authors can be seen in the page history. As with this Familypedia wiki, the content of Wikipedia is available under the Creative Commons License.